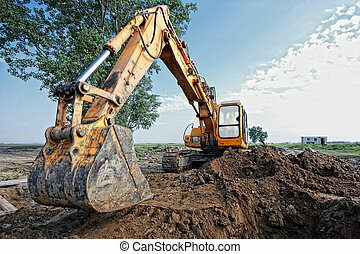 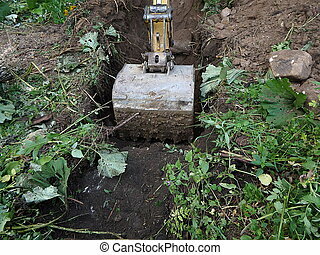 Excavator digging a hole. 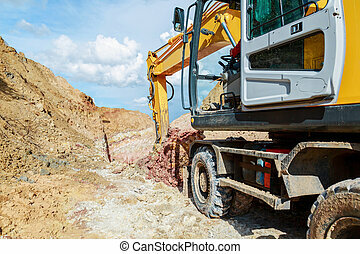 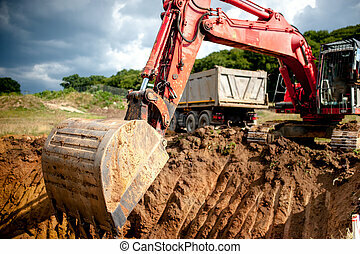 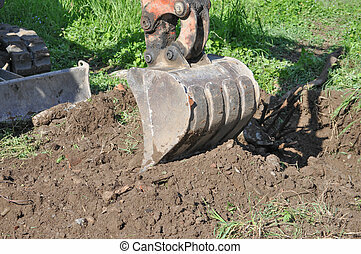 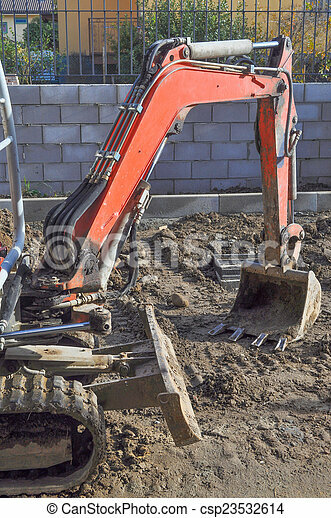 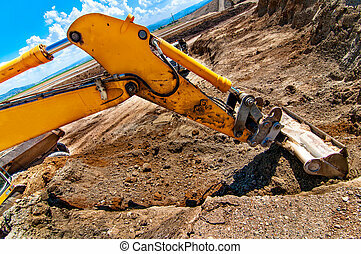 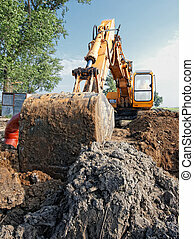 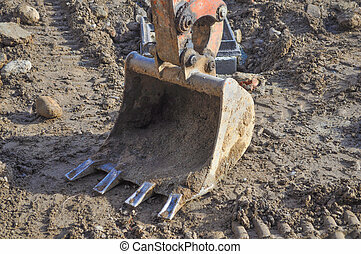 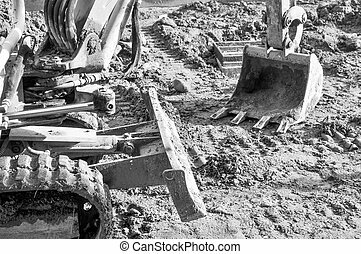 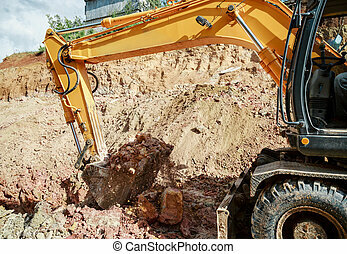 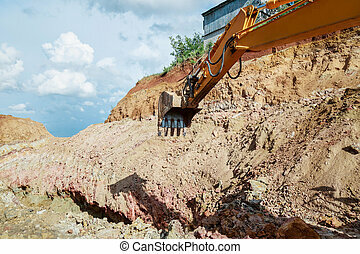 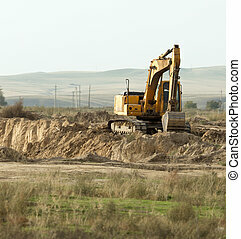 Excavator mechanical shovel digger digging a hole in the ground. 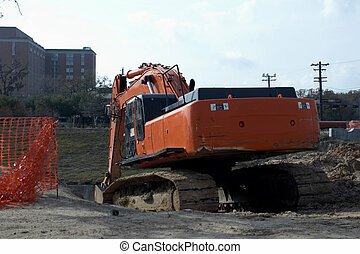 Excavator digging a hole. 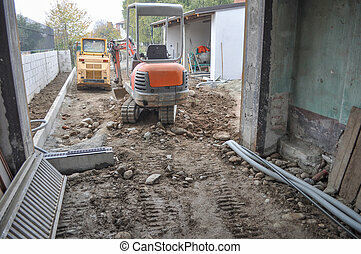 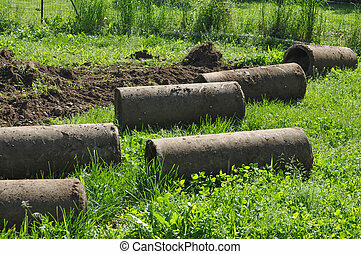 Work on the construction site. 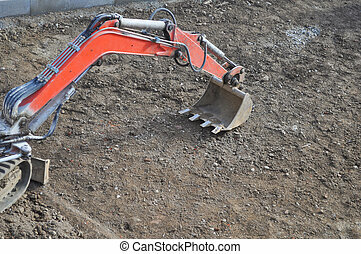 An excavator digging a hole in the ground seen from the cabin. 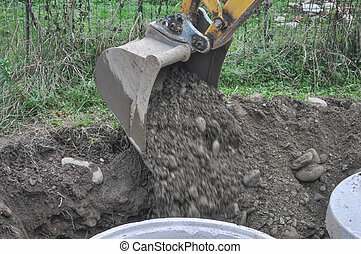 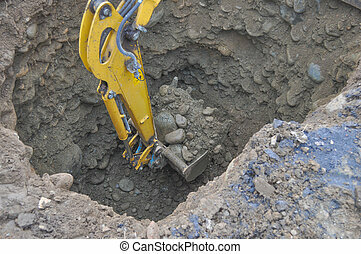 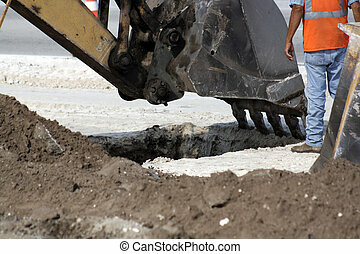 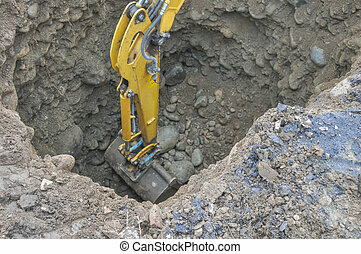 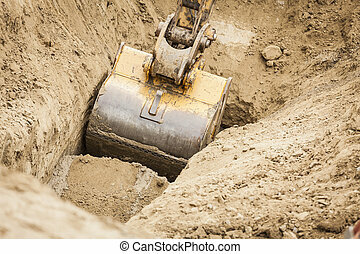 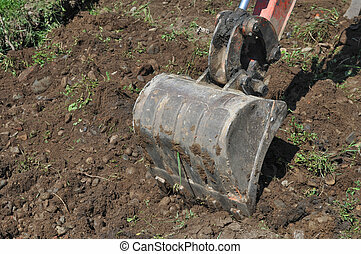 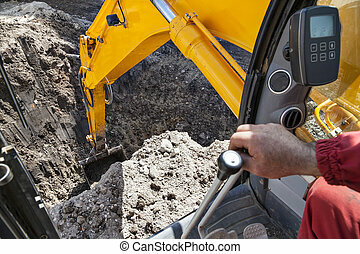 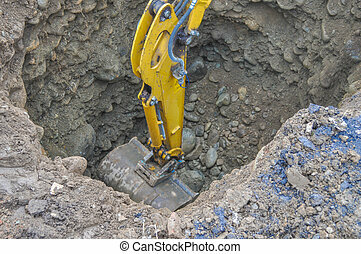 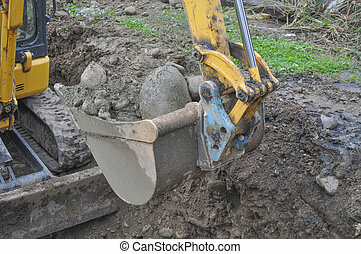 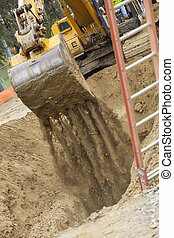 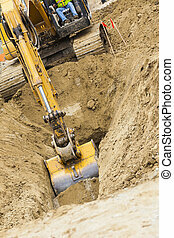 The bucket of an excavator is poised to dig further into a hole at the feet of a worker on a roadway project. 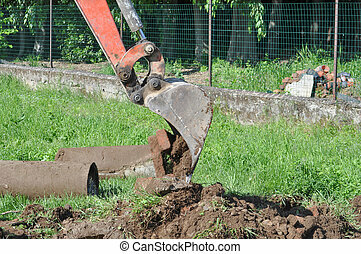 Working Excavator Tractor Digging A Trench.